I remember when we brought our son home, thinking just how incredible it was to be a father. Of course, the problem is that kids are only kids for what seems like a moment. That's why it's so important for parents - whether we're photographers or not - to document those fleeting days of infancy and childhood before they're gone. 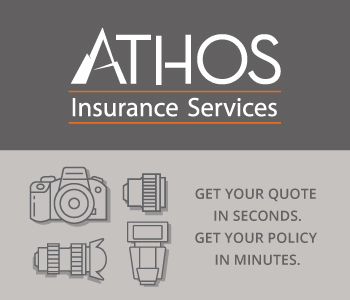 I'm a big advocate of hiring a professional photographer to capture images of my little guy. But our portrait sessions are so few and far between that I want to be able to capture memories along the way. I want you to be able to do the same as well. 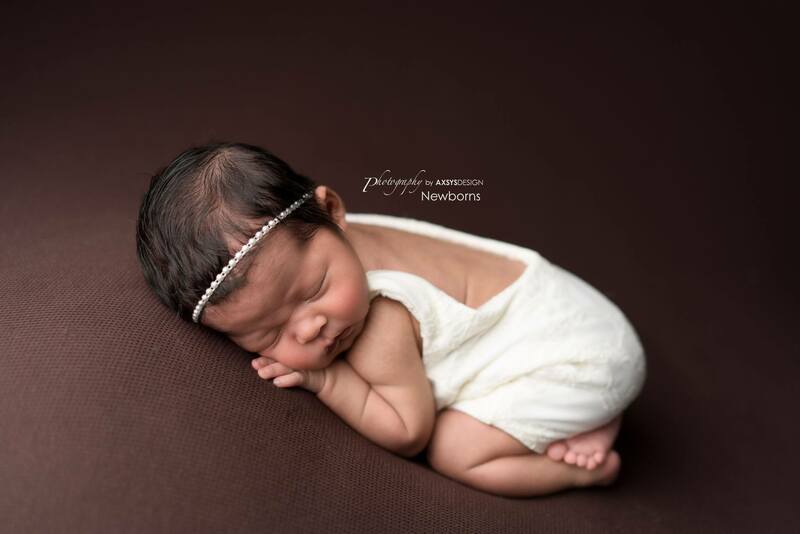 So, here's a few tips you can use to take better portraits of your newborn right in the comfort of your own home. First things first...keep your baby safe. I know this is a no-brainer, but being extra cautious with your little one is paramount. That means having a second (or even third) set of hands with you as you work, just to ensure you've got plenty of helpers to assist you in dressing the baby, posing the baby, and holding/burping/changing the baby, too! You also need to keep your little one comfortable by ensuring they have plenty of clothing or wraps to keep them warm, or if you're taking photos of them in the buff, be sure to crank up the heat beforehand so they don't get cold. 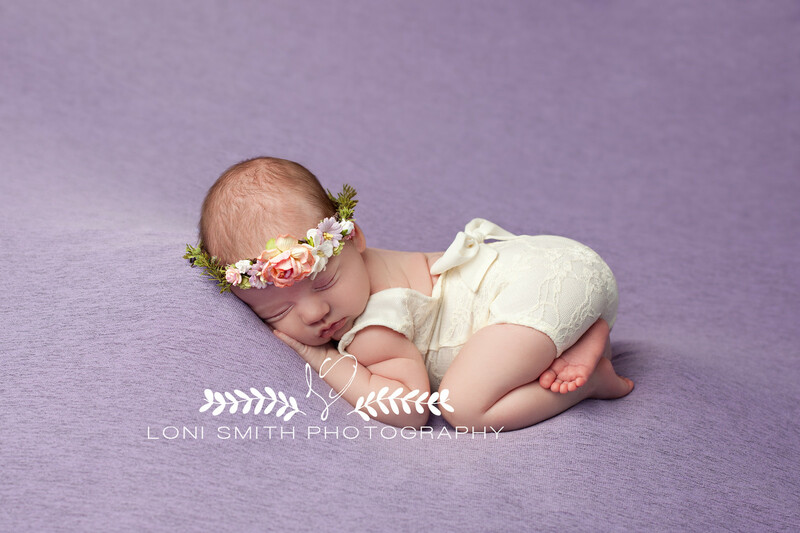 And if you want to pose your little guy or gal as was done in the image above, be sure you've got plenty of bumpers and foam underneath and behind them to support their little heads and necks and to keep them from suddenly rolling over. Take cues from sunlight to create lighting that looks and feels natural. One way to do that is to light the scene from above, just like the sun would do. 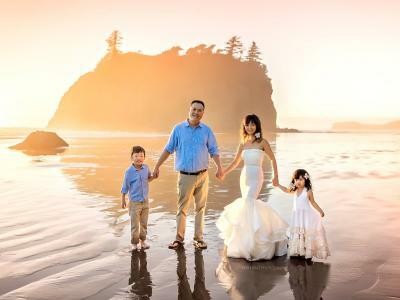 Using something as simple as a single incandescent lamp, lighting the portrait such that the light falls across your newborn at around a 45-degree angle will give you warm highlights and soft shadows, not unlike those you see in the image above. If you see a small, soft shadow under your baby's nose, you'll know you've got it right. Of course, natural light is a great idea, too. Just place your baby next to a window, and if need be, diffuse the light with a sheer curtain or just a plain, white sheet. Again, you'll find that this creates gentle shadows and highlights that are pleasing to view, as seen in the image above. As you undoubtedly already know, when your baby is fast asleep, you will do anything to make sure they stay that way. Rather than picking them up, repositioning them, and taking another photo, try moving around the baby and experimenting with different camera angles. You might take photos looking up straight at them, as seen above, or down at them, as seen below. As you move around, don't just pay attention to your baby's face, either. Look for ways to capture interesting shadows and highlights. Take a few shots of chubby fingers and toes. Step back for full-body shots, then step in for close-ups. 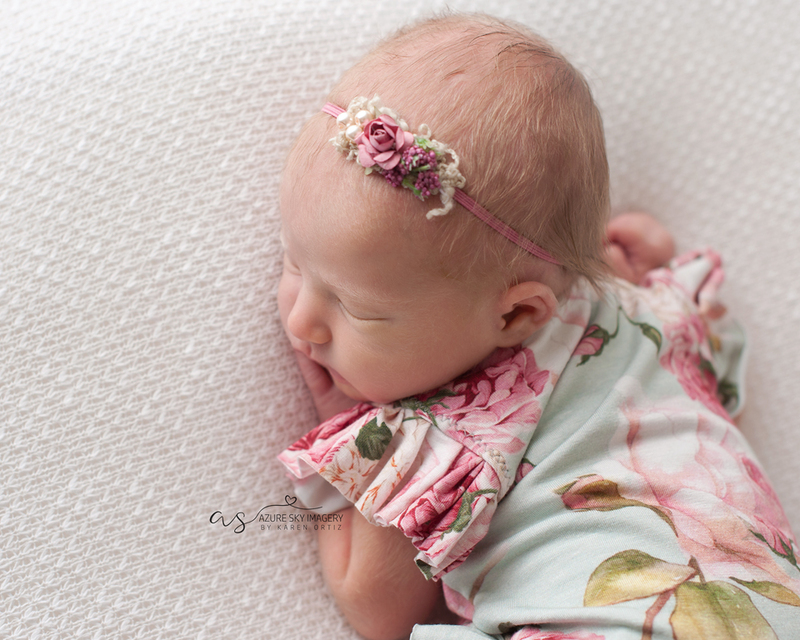 The point is that you should try to wrangle every single photo you can out of every pose, that way you minimize the amount of time you spend moving your baby (or trying to get them to go back to sleep!). I realize that you're not going to want to dress up your baby each day and spend two hours photographing them in heavily posed portraits. However, there is something to be said for sprinkling in a few mini sessions now and then that have a more professional look to them. 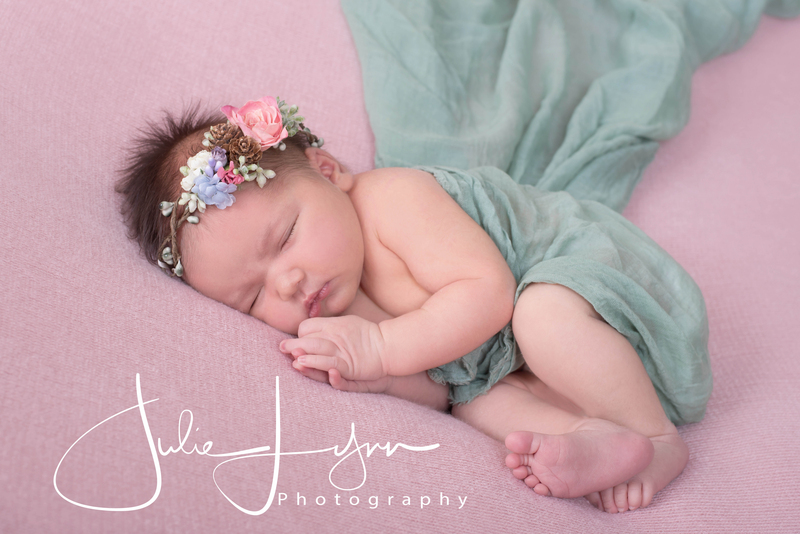 One way to get more professional looking photos is to add some visual pop to the images by outfitting your newborn with a gown, romper, headband, and so forth. 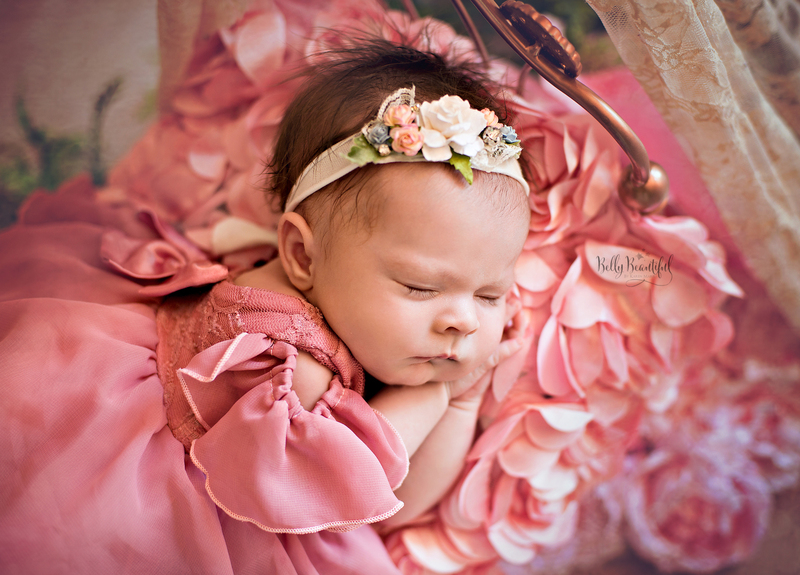 As you can see in the image above, the floral headband not only adds color but also adds texture to the shot, giving our eyes something to draw our attention toward the baby's face. 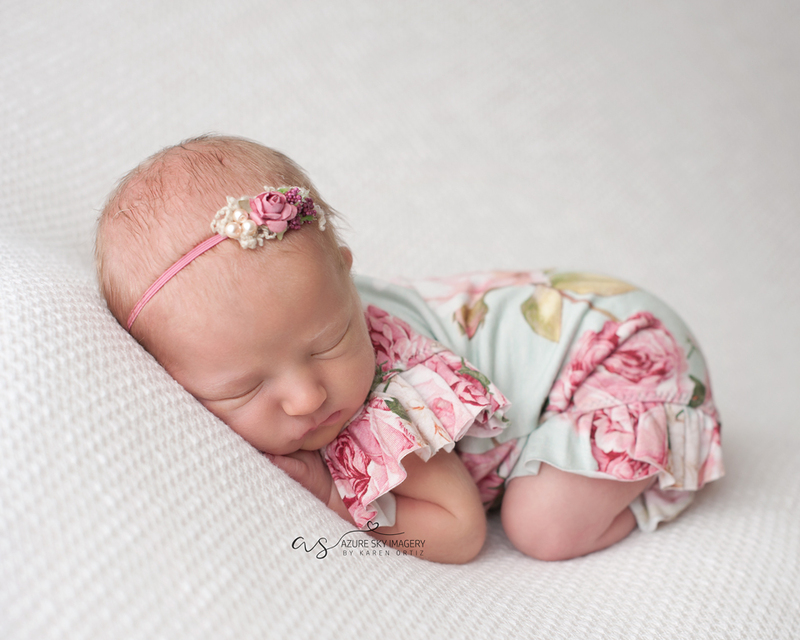 Outfitting your newborn in a gown or a romper adds elegance to your newborn photos that's hard to achieve in quick snapshots when they're asleep in their crib. 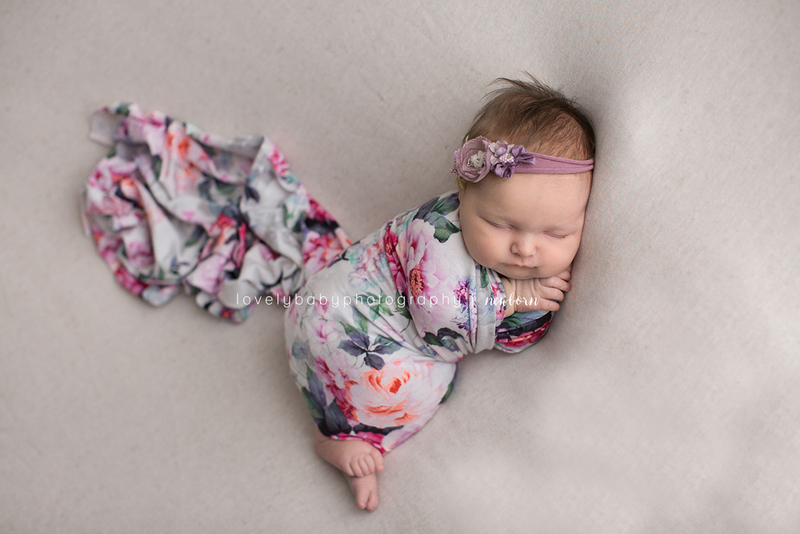 Like the floral grown in the previous image, the gown in the image above adds color and richness to the shot while also providing texture and a sense of fluidity as it flows outward from the baby's hips. 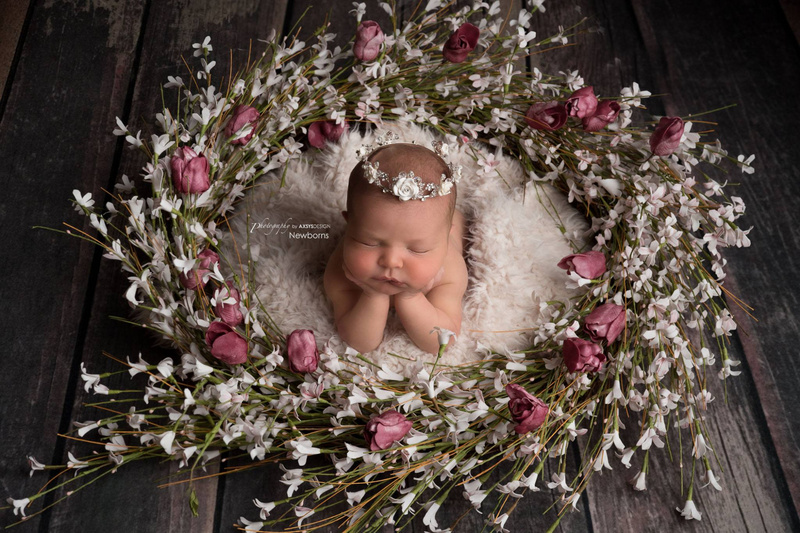 You can even add simple props to your home-based newborn photos that help create a visual story in which your baby is the central character. 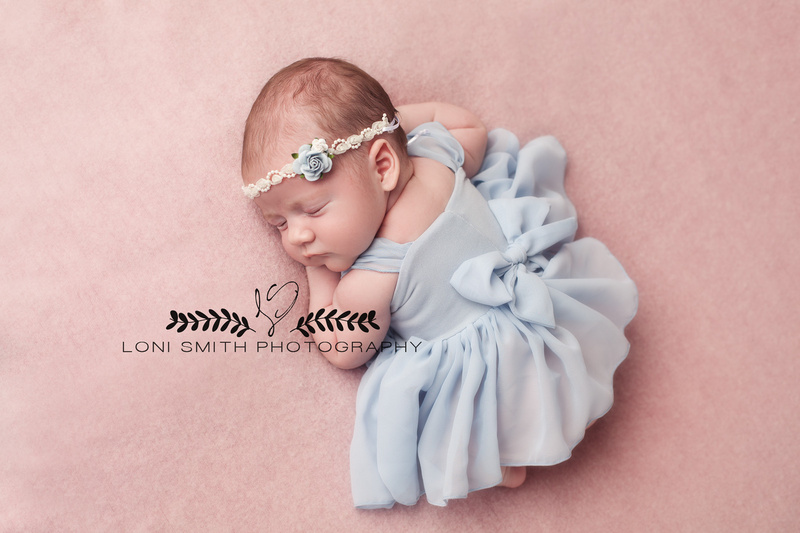 The point is that simple wardrobe choices and props, combined with varying your shooting angles and using soft, diffuse lighting, you can capture more beautiful and meaningful images of your newborn, right from the comfort of your home. All of the images in this article adhere to one or more of these principles, and I think you'll agree that the results are pretty darn good! 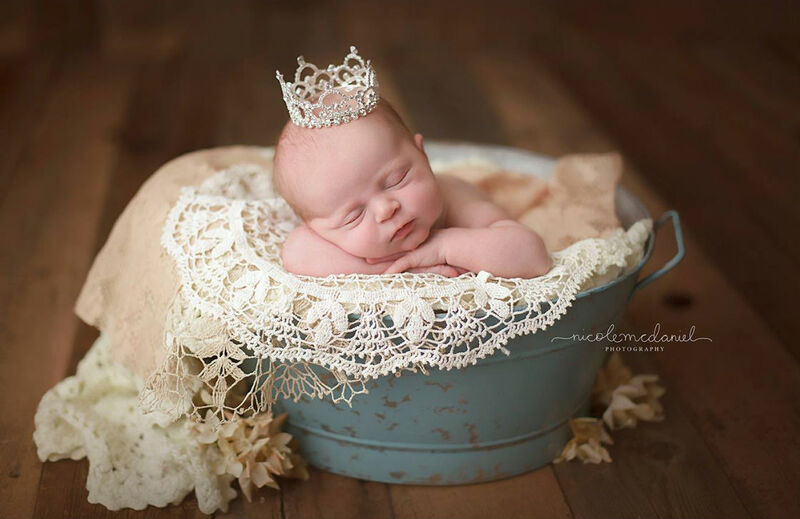 Give each method a try and see what creative images you can come up with of your newborn.